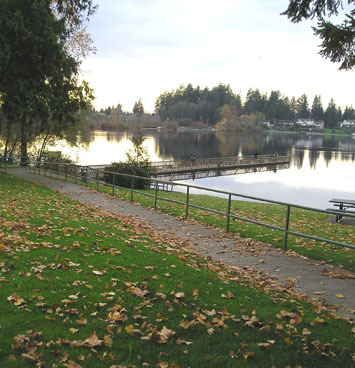 Description: The route includes a section of the Centennial Trail which extends into the town of Snohomish. This diverse walk goes through two parks, around a lake, and continues along a lovely riverfront trail. It continues in downtown Snohomish with its many antique shops, restaurants and 100+ year old neighborhoods. Historic Snohomish is a pleasure to walk through, and stop and shop in many unique stores or have a meal in one of the many fine restaurants. Start Point / Driving Directions: Take US Hwy. 2 eastbound, exit Snohomish/Bickford Ave. Bickford Ave becomes Ave D, Haggen’s is on the left side as you enter town. Ask for start box at customer service counter. Comments: Dogs not allowed in Snohomish parks.